Air Force technical school graduation. I’m somewhere in that fine group. This is surely the least dramatic and most unimportant story you’ll ever read about one man’s U.S. military experience. I was raised in a family of six children in 1950’s southern New Jersey. We never saw ourselves as poor, per se, but we had to live frugally on an accountant’s salary. My parents had been raised in the Great Depression and the “waste not, want not” philosophy was second only to Catholic Church teachings. At dinnertime, my father could cut a single pork chop into enough pieces that six children each thought they had a plateful of meat. 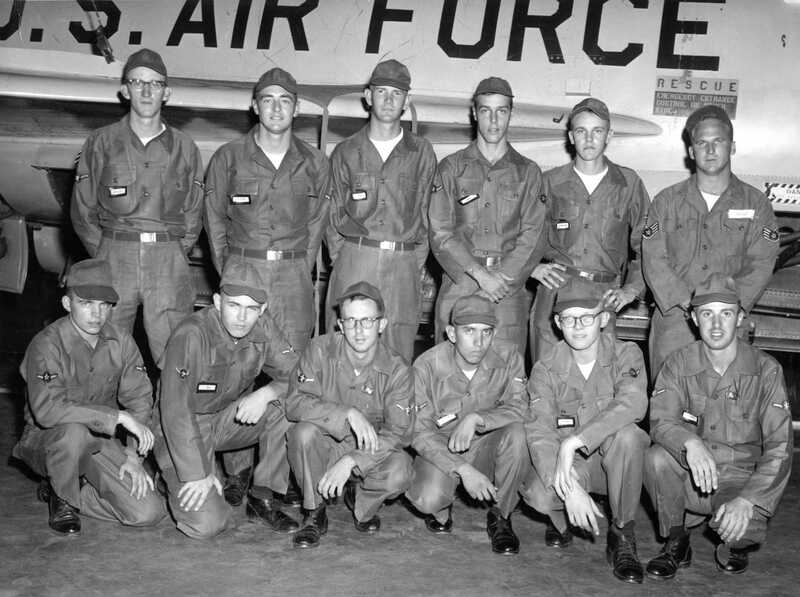 In April, 1965 I was doing U.S. Air Force basic training at Lackland Air Force Base, San Antonio, Texas. After a few weeks of the usual indoctrination, I was assigned one day to KP (Kitchen Police) duty. This involved getting up at 2:30 AM (0230 for you military fans) and starting work in the mess hall at 3 AM. You worked steady until 9 PM that night (2100 hours on my military watch). An enthusiastic cook kicked my rear when he saw me mopping without effort or sufficient enthusiasm. He showed me how to be efficient, and that was a valuable lesson I’ve always remembered. 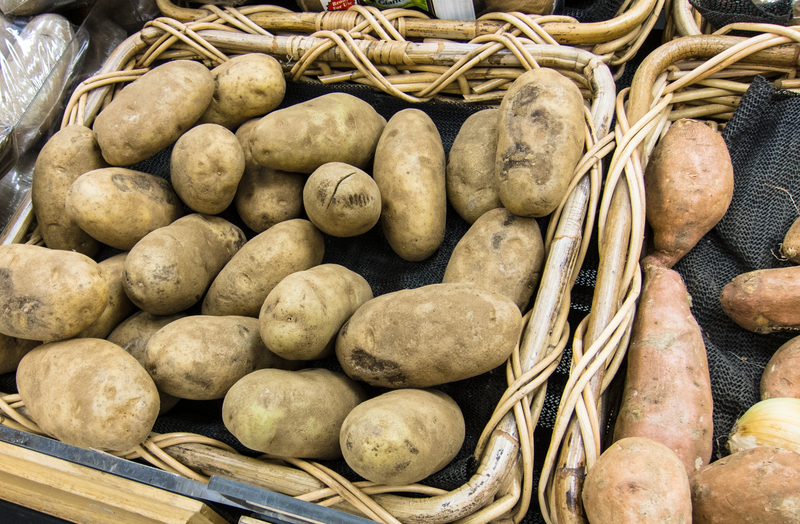 I recall being impressed by the huge machine they had to peel potatoes — a different reality from the cartoons I’d seen of Private Beetle Bailey peeling potatoes with a knife. The day was a lot of hard work, and I knew I didn’t want to do that kind of work in my life. The real lesson however, came at day’s end. Not the best looking unmashed potatoes I’ve ever seen in a local supermarket. It takes a long time to prepare food for hundreds of people. It also takes a long time to clean up after feeding hundreds of people. Diners, let’s call them, were told to take all they wanted, but to eat all they took so the food that got served wasn’t wasted. The food that had been cooked and not eaten would have been saved as leftovers in my family. Not so in this new world I’d entered. We had that day leftover mashed potatoes, a lot of leftover mashed potatoes. When I saw the whole mess go into a trash dumpster I was stunned. I don’t know objectively how much there was, but to this day I remember watching and thinking it was enough to feed my family for a solid year. I watched a year’s worth of a staple food head for the landfill. Today, 48 years later, I have a little stress every time I see mashed potatoes. I flash back to that day in military basic training and think how wasteful it was, and I’m sorry I had a part in it. I joke and call it Potato Traumatic Stress Disorder (PTSD), but it’s not a joke that makes me, or anyone else, laugh very much.